Data aggregation – merge data from multiple sources into a common data set. Security – control access and set permissions for users and groups. Scripting – program custom solutions to meet your specific needs. Secure Remote Configuration Tool – Configure a network of installations from a single location. 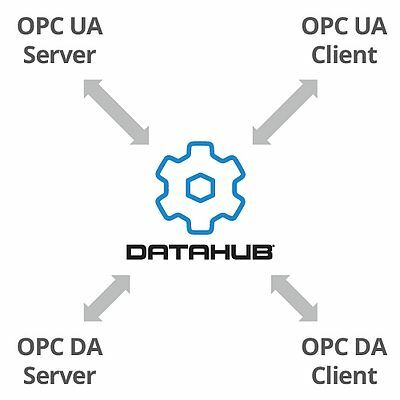 The DataHub OPC Gateway is just one feature of the Cogent DataHub—real-time middleware that allows you to easily access, network, integrate, log, and visualize your industrial data. DataHub provides secure and remote access to plant data with no open firewall ports, VPNs, or programming.